2 internal full range 3 watt speakers produce high-quality sound with supreme clarity to elevate your overall music listening experience. The compact 12.5x46.5x70 mm size of these portable Bluetooth speakers ensures convenient carrying and fits perfectly in your palm for convenience. 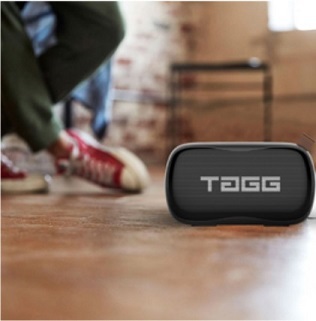 TAGG Flex portable wireless Bluetooth speaker features Bluetooth V4.2 + EDR for remove the hassle of frequent disconnection. These portable speakers come with wireless Bluetooth pairing with a range up to 10 m to ensure connectivity from longer distances. 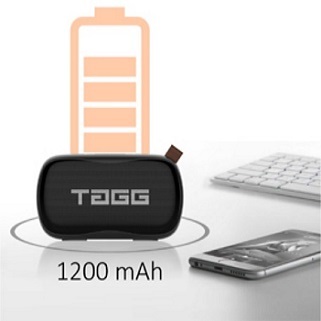 Powerful 1200Mah battery assures quality performance for up to 4 hours making these the best portable speaker. Built-in microphone enables hands-free calling through which you can accept/reject calls at your own convenience. 12 month warranty and friendly customer service. 2 internal full range 3 watt speakers produce high-quality sound with supreme clarity to pack an extra punch to elevate your overall music listening experience.The compact 12.5x46.5x70 mm size ensures convenient carrying and fits perfectly in your palm so that you always feel carefree while travelling.Features Bluetooth V4.2 + EDR and wireless Bluetooth pairing with a range up to 10 m to ensure connectivity from longer distances without any hassle of frequent disconnection. Don t let the compact size fool you! Its 3x2W powerful output will make sure you experience louder sound without compromising on the quality. 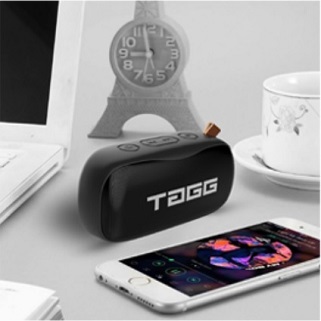 Super clear and majestic sound output makes Tagg Flex your new age BoomBox. Featuring a powerful 1200mAh battery to make sure that the music doesn t stop, even after you do. With minimal charging time and maximised continuous output, the supply of music will never be disrupted. 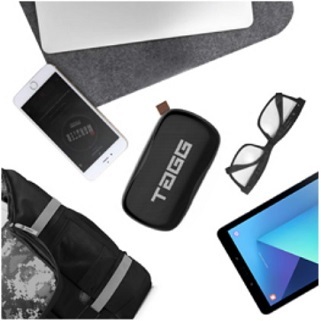 With Tagg-Flex by your side and music in your ears, you can enjoy every moment and feel carefree. It is specially designed to be universally compatible so that you can play music from every device and break a sweat while grooving on amazing tracks. THE NEW AGE COMPACT. Powerful 1200Mah battery assures quality performance for up to 4 hours so that you can enjoy your favorite songs for a longer period of time.Built-in microphone enables hands-free calling through which you can accept/reject calls at your own convenience for ease of control. Further the product comes with worry-free 12-month warranty and the best after sale services.